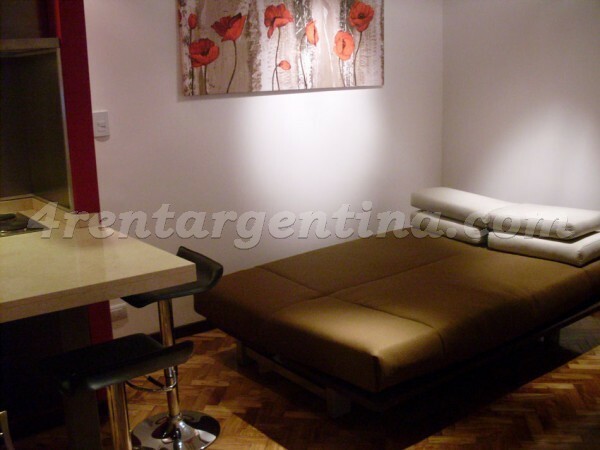 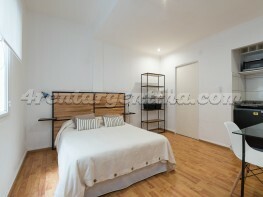 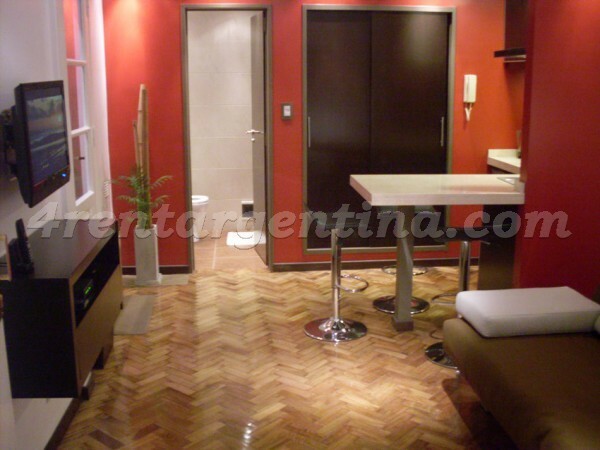 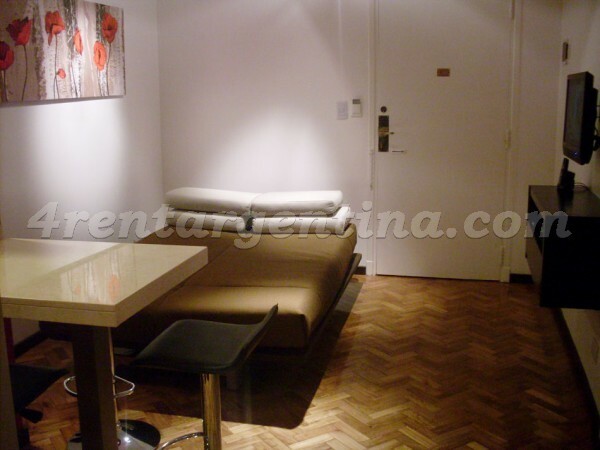 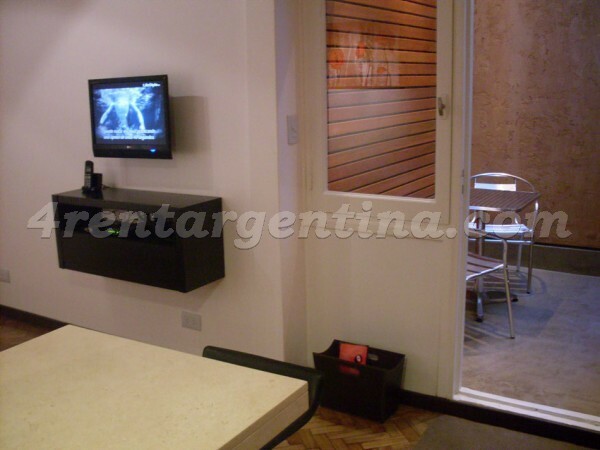 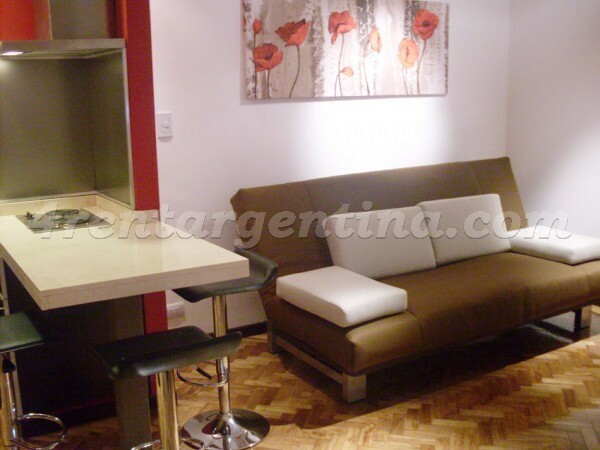 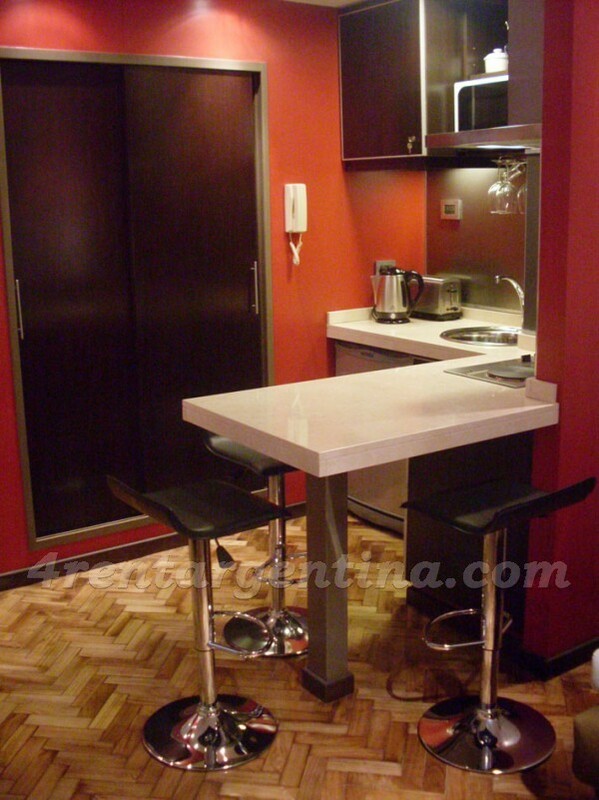 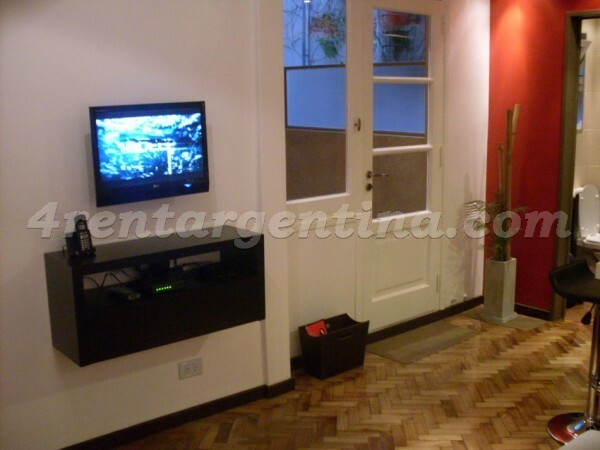 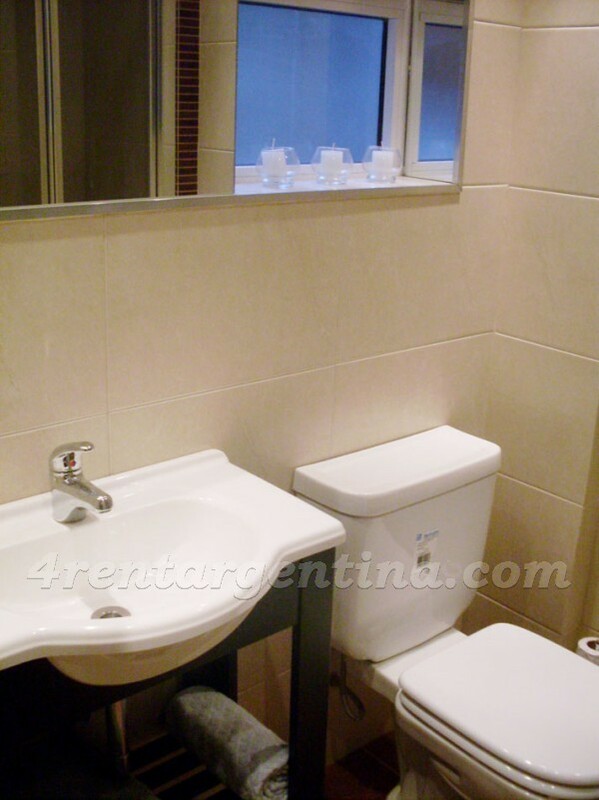 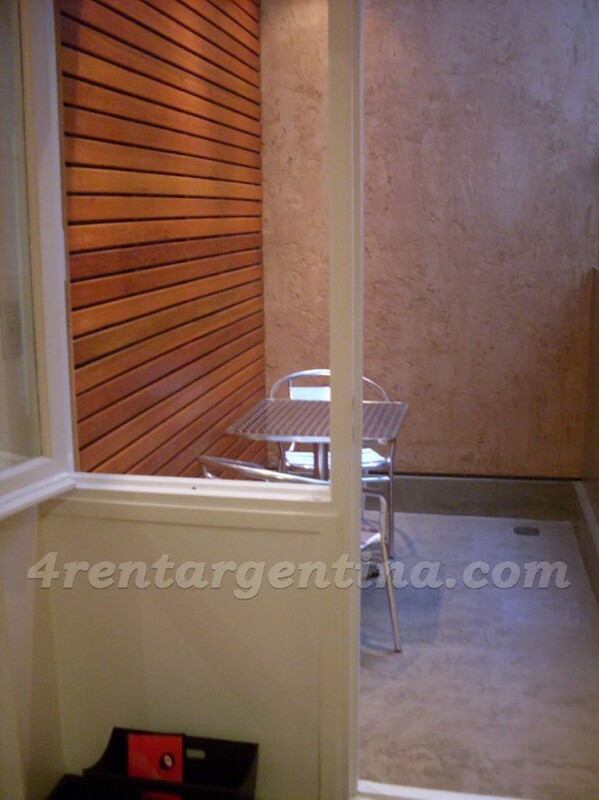 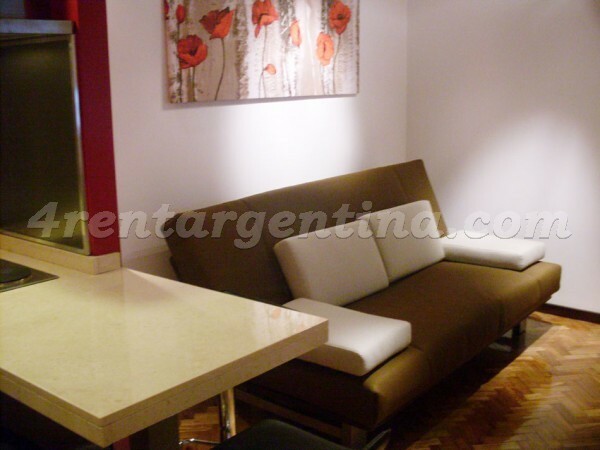 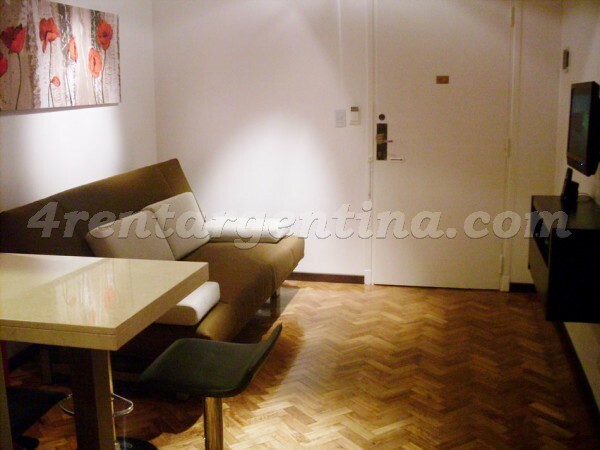 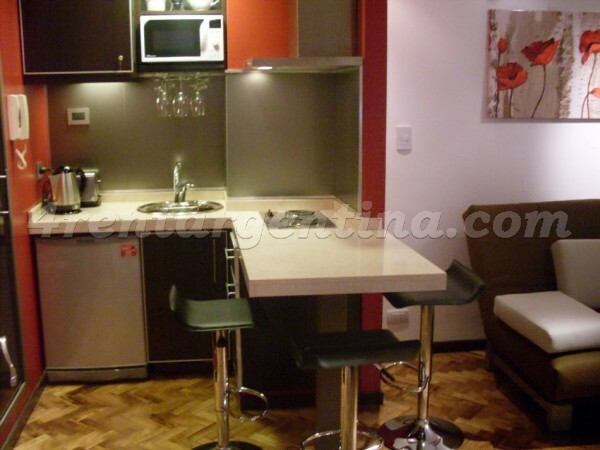 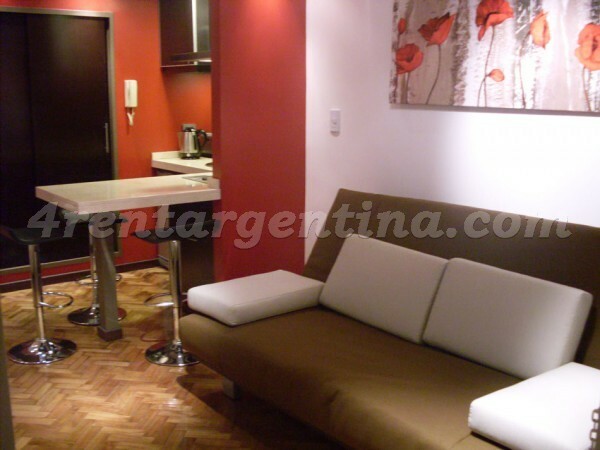 Modern furnished apartment for temporary rent in Buenos Aires, located in Palermo, just two blocks away from Libertador Avenue and from Parque Las Heras. 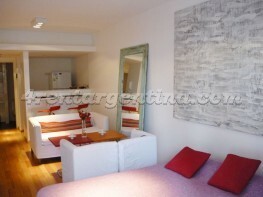 This lovely flat features wooden floors and has a very modern decoration. 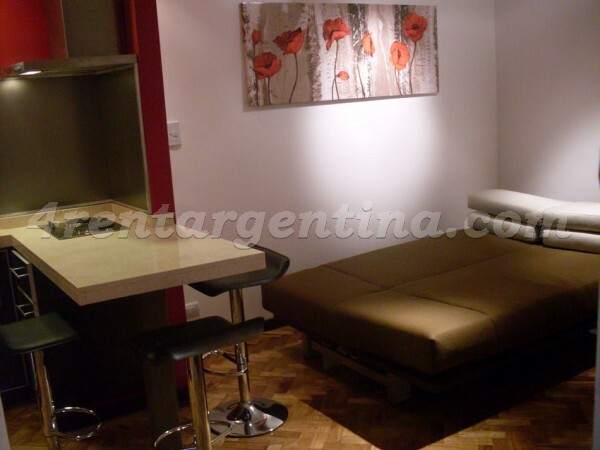 It is perfect to lodge two people, since it has a double sofa-bed, a kitchenette, a courtyard and a full bathroom with a Scottish shower.